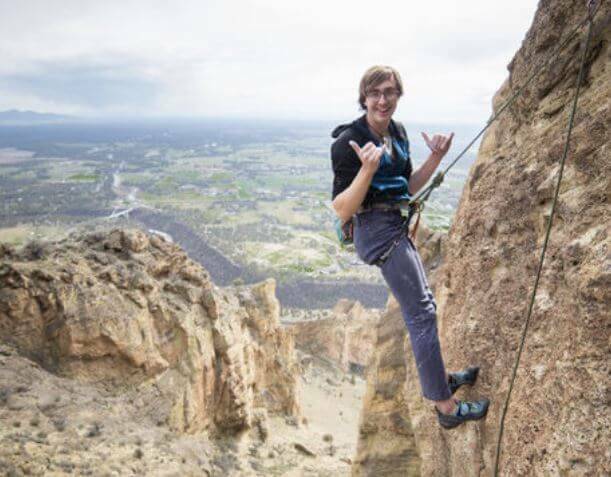 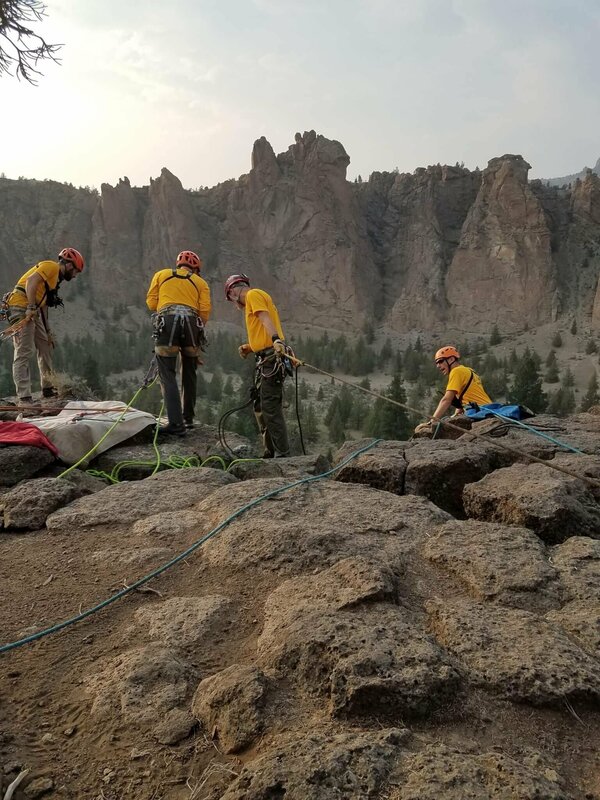 On 6/30/18 at 2:54 pm, 911 dispatch received a call from Gavin Graham, who reported that Elizabeth Wright had fallen down a steep embankment at Tumalo Falls while hiking and was stuck with no way to get up or down. 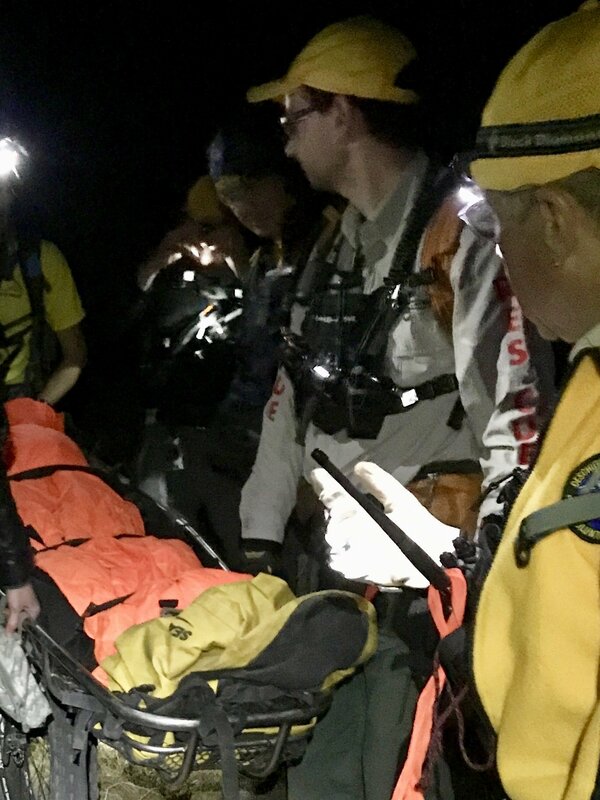 Though Wright was believed to be conscious, details of her injuries were unknown at the time because no one could reach her due to the fall location. 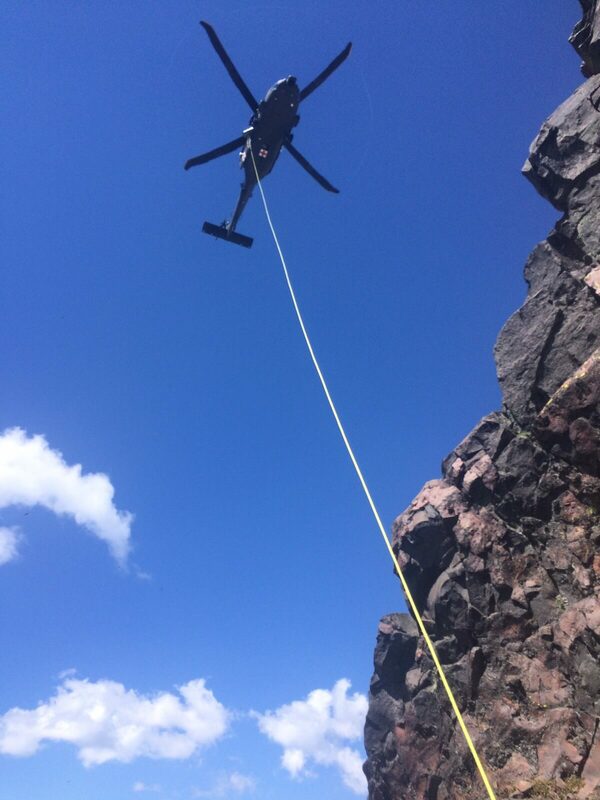 One Deschutes County Sheriff’s Office Deputy initially responded to the scene and along with the assistance of a helpful citizen lowered an anchored stabilizing rope to Wright’s location, which was near the bottom of the falls about 20 feet down an embankment in between a side trail and the river. 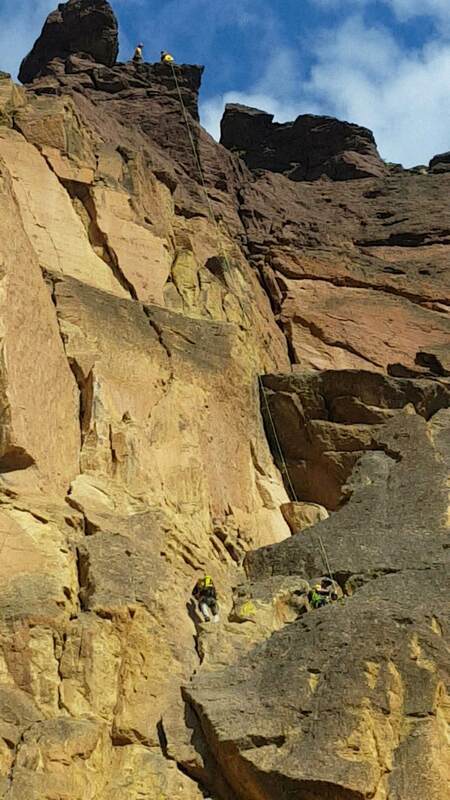 The rope prevented Wright from falling further down the embankment until additional resources could respond to the scene. 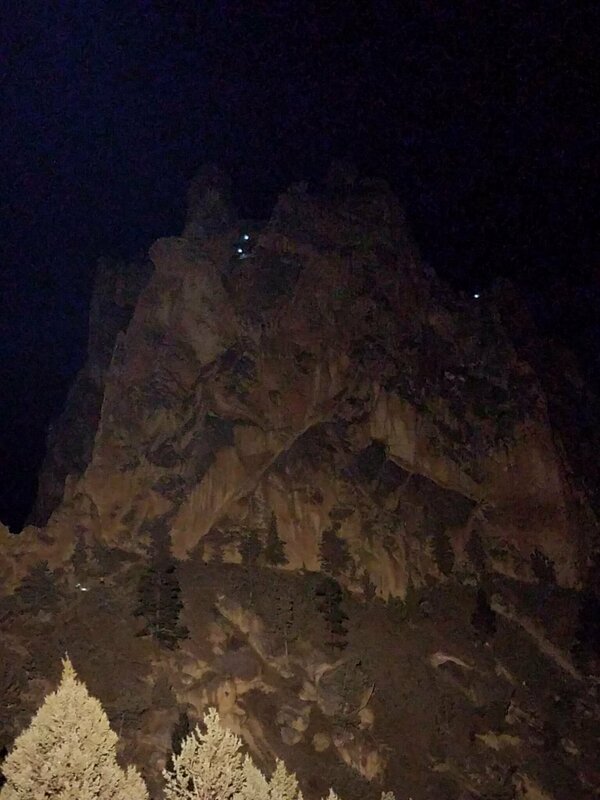 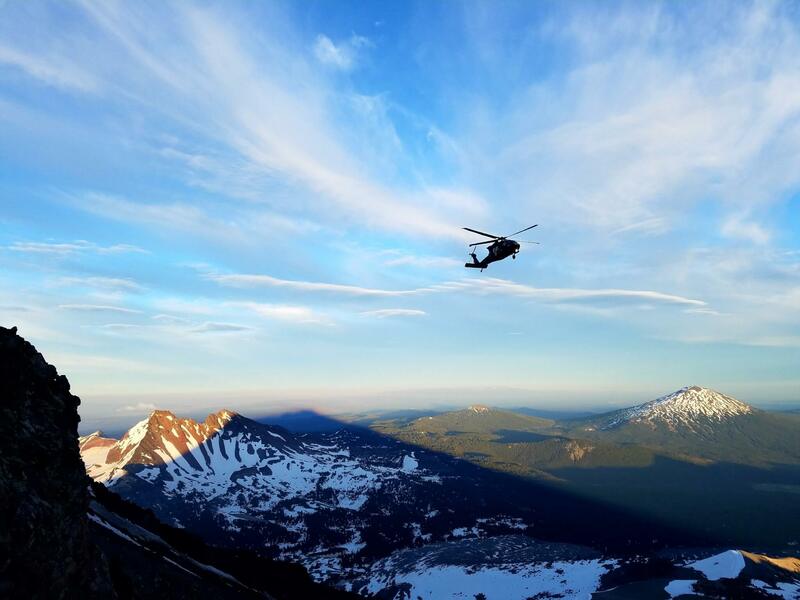 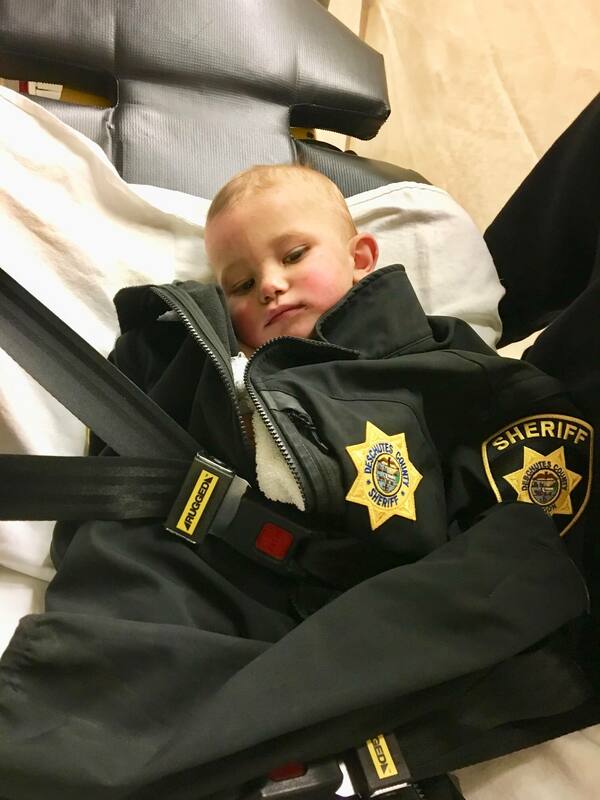 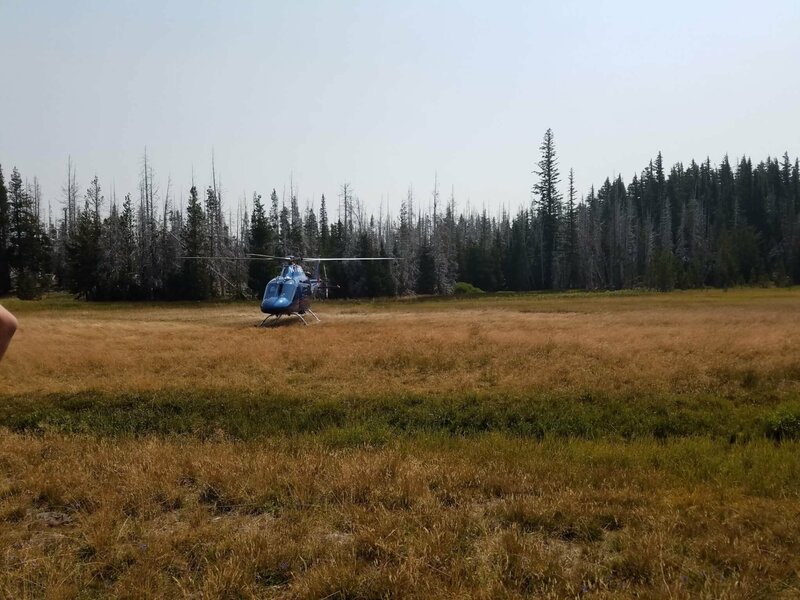 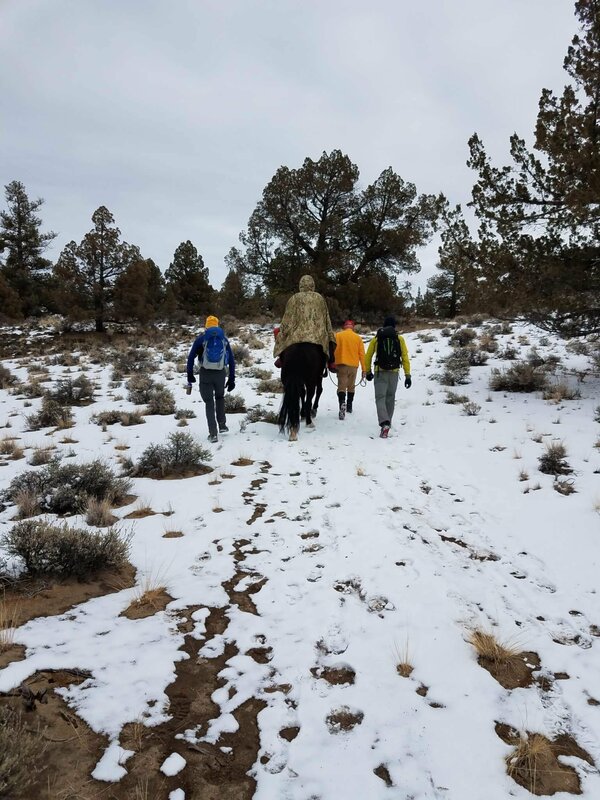 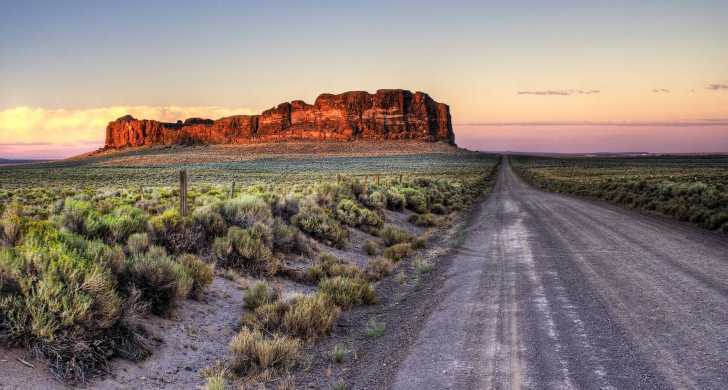 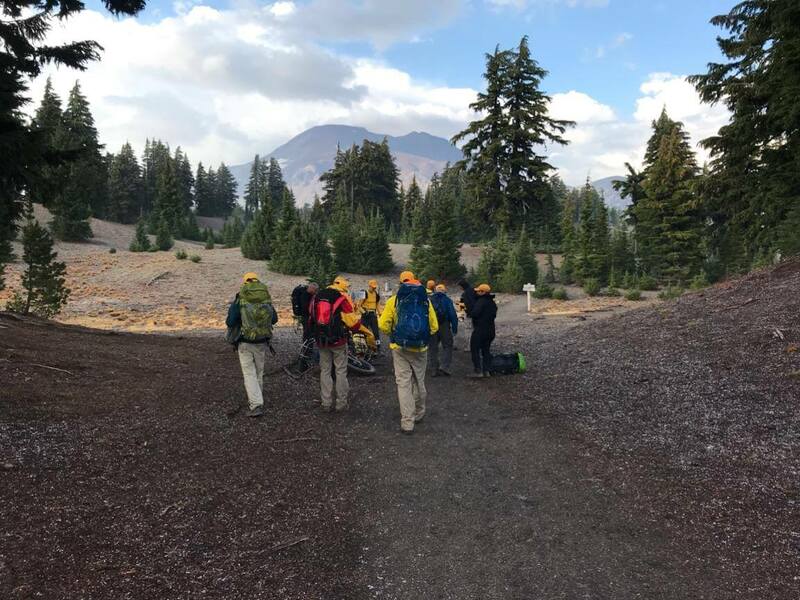 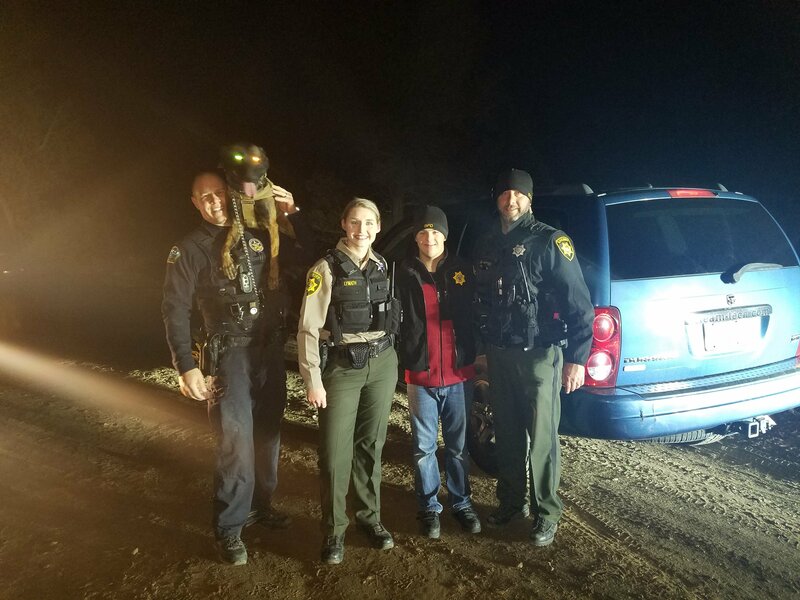 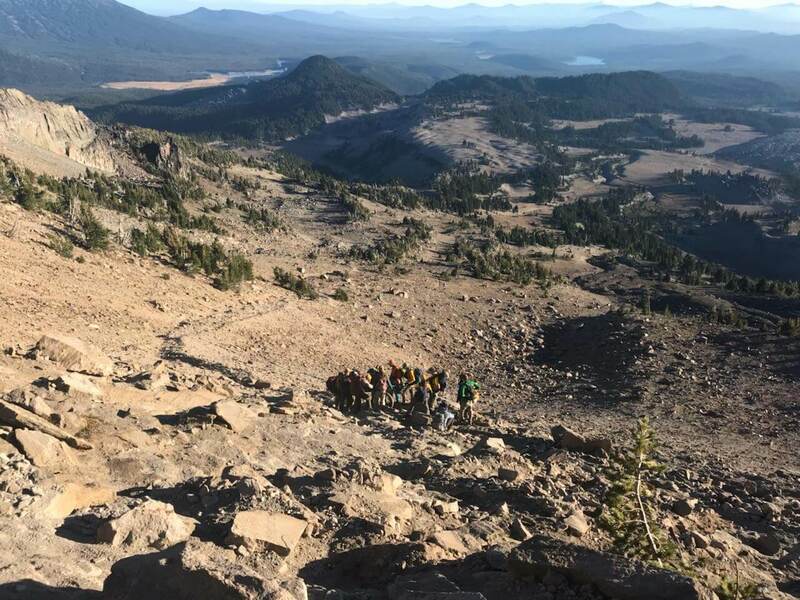 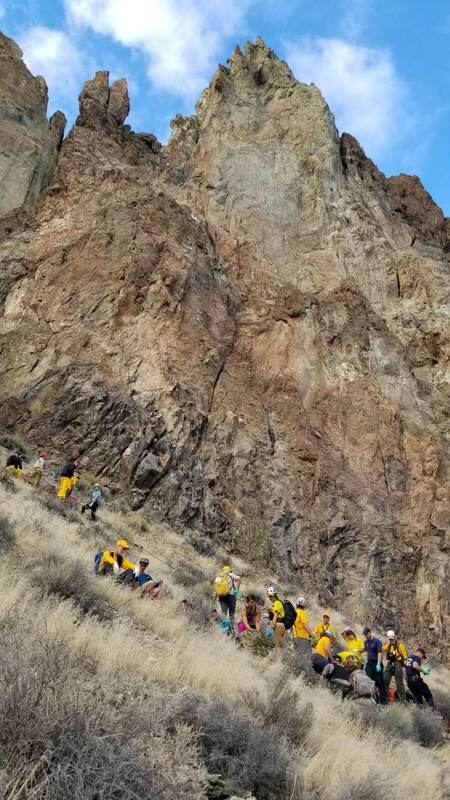 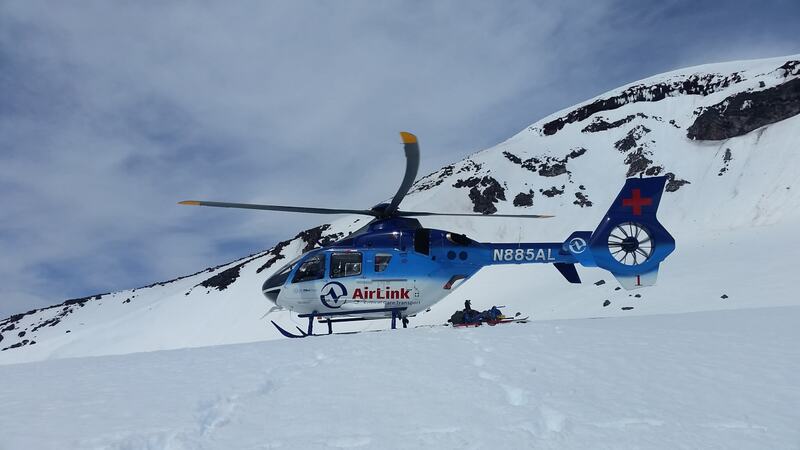 A short time later, 16 Deschutes County Sheriff‘s Office Search and Rescue volunteers compromised primarily of the Mountain Rescue and Swiftwater units responded to the scene. 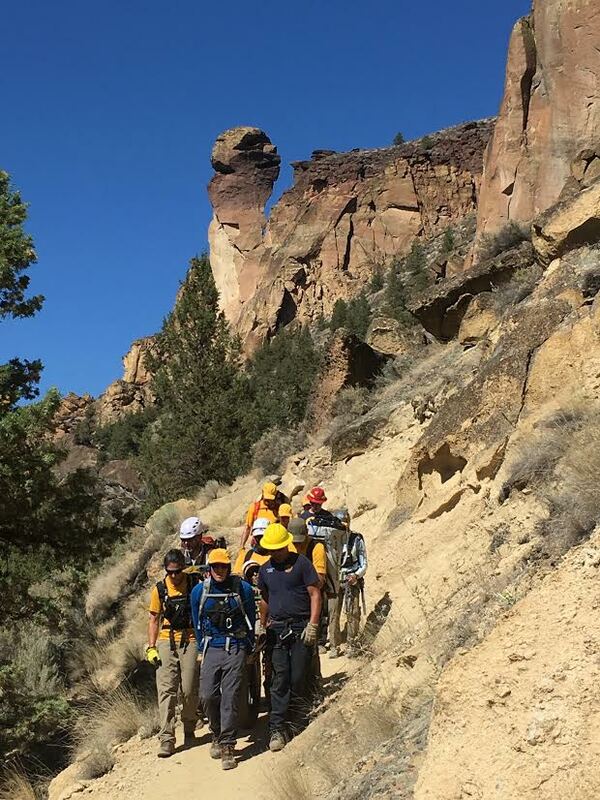 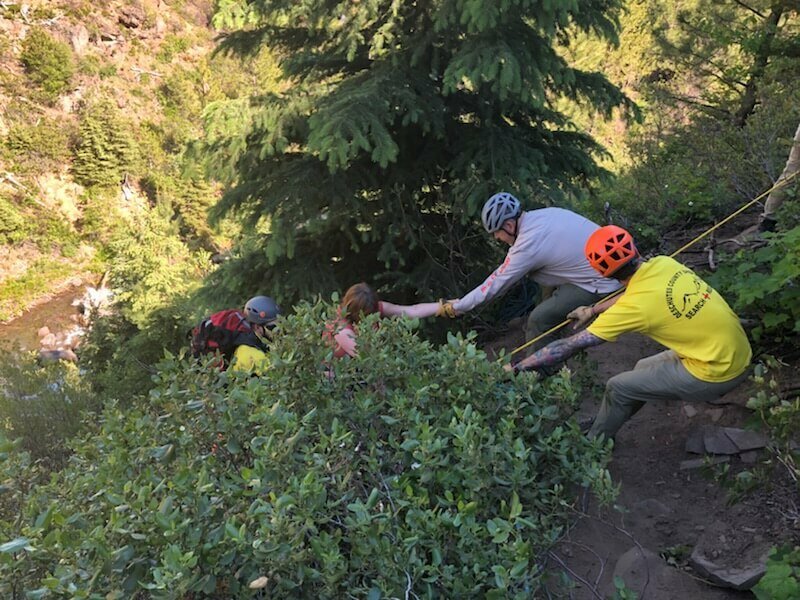 The volunteers lowered themselves to Wright’s location via rope and harness and assisted lifting her back up to the trail where it was determined Wright had sustained non-life threatening injuries during the fall. 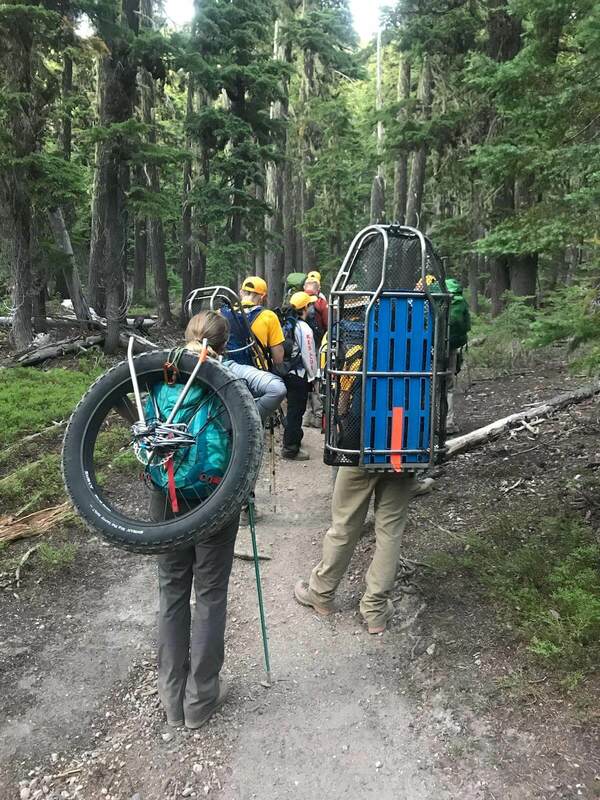 Due to the injuries the Deputy and Search and Rescue Volunteers transported Wright down the trail on a wheeled litter to her vehicle. 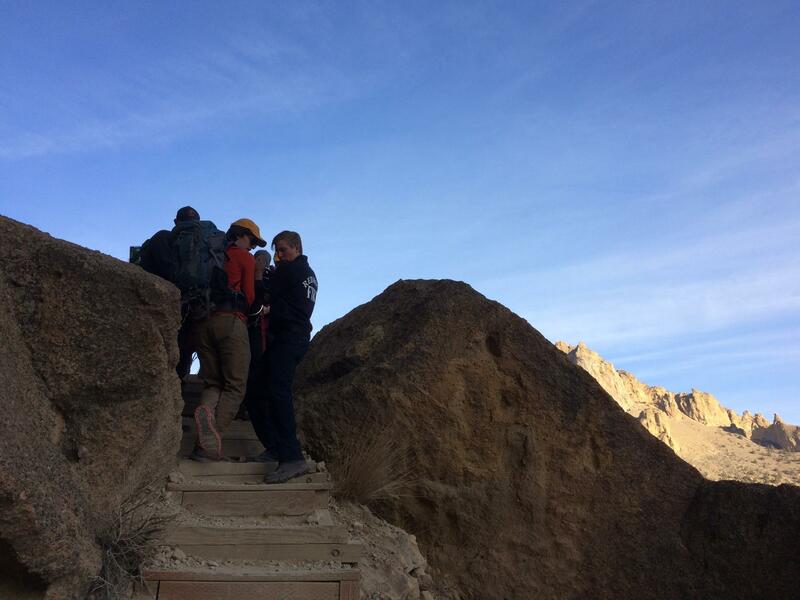 Wright declined further medical attention and was left in the care of a family member. 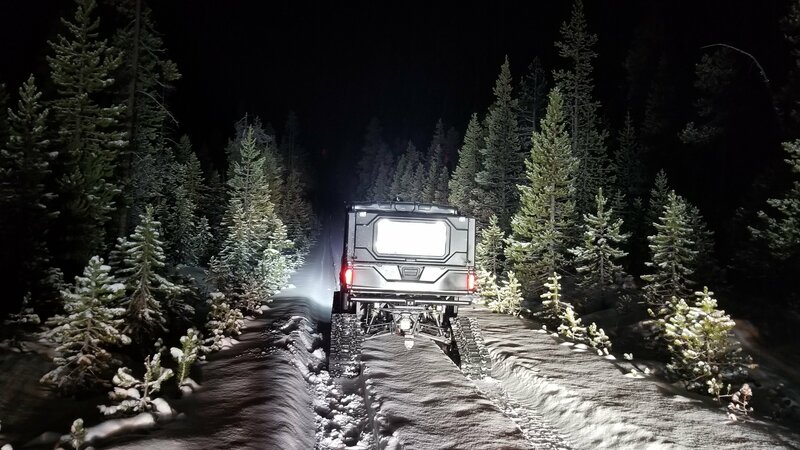 It was later determined that Wright and her party had gone off the marked trail onto a side trail blocked by multiple downed trees. 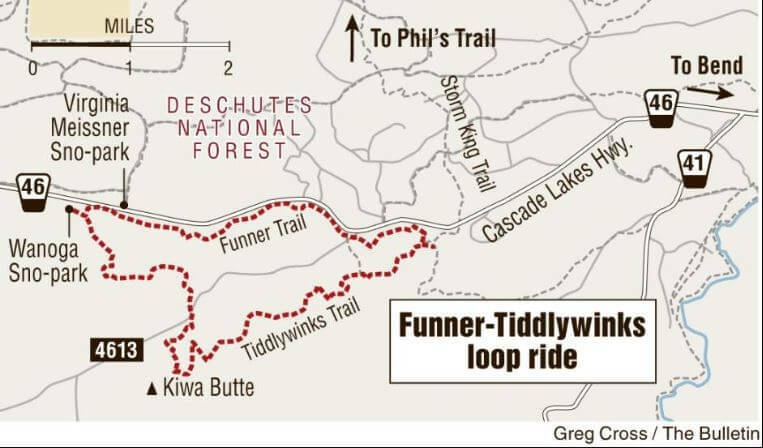 It was in this area that Wright fell down the embankment while she had been attempting to navigate a narrow section of the trail. 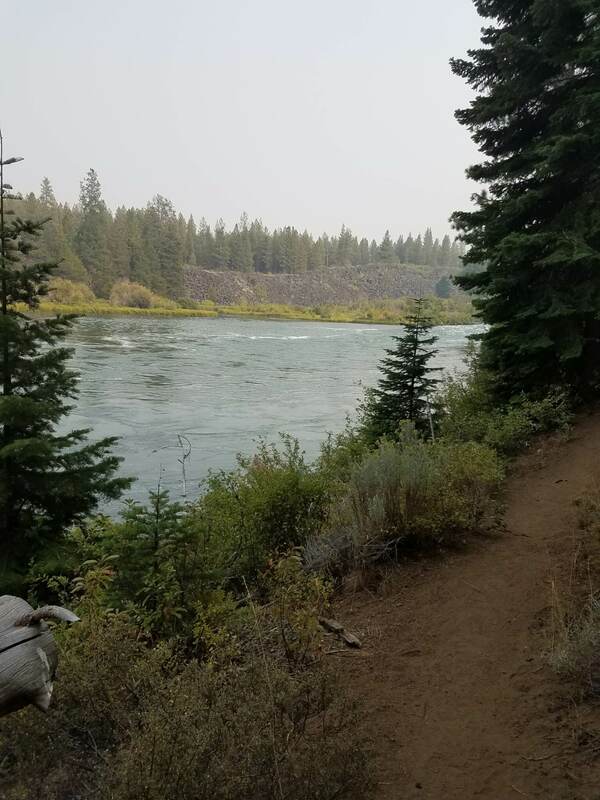 The Deschutes CountySheriff’s Office would like to remind the general public to please stay on marked trails while hiking in the Tumalo Falls area.